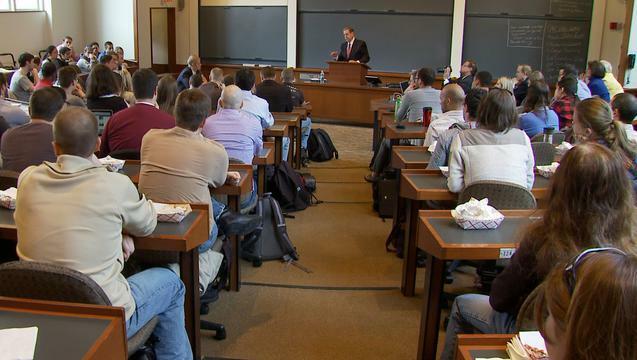 An apostle of The Church of Jesus Christ of Latter-day Saints (Mormons) addressed students at Harvard Law School on Tuesday during the annual Mormonism 101 series sponsored by the school's Latter-day Saint Student Association. In Harvard’s historic Langdell Hall, Elder Jeffrey R. Holland of the Quorum of the Twelve Apostles spoke to a religiously diverse audience about Mormonism’s teachings. He explained, among other things, that Latter-day Saints believe Christ’s ancient church has been restored in modern times.